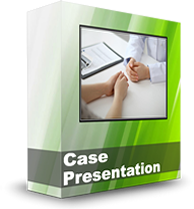 This comprehensive program includes 3 video lessons on case presentation, financial arrangements, and case acceptance. Improving your case acceptance is one of the simplest ways to increase your practice’s profitability, and it’s a strategy that costs nothing to implement. It’s all in how you do your case presentation, what financial options you offer, and how your financial coordinator presents these options to patients. In this three-part video lesson, Jim Du Molin lays out how to increase your case acceptance by 25% – or $125,000 – whichever is greater.